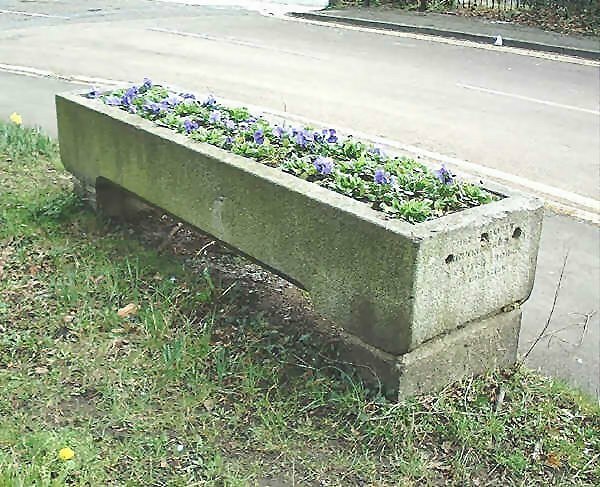 Cattle trough near Weybridge station. Photograph dated 1st March 2008. 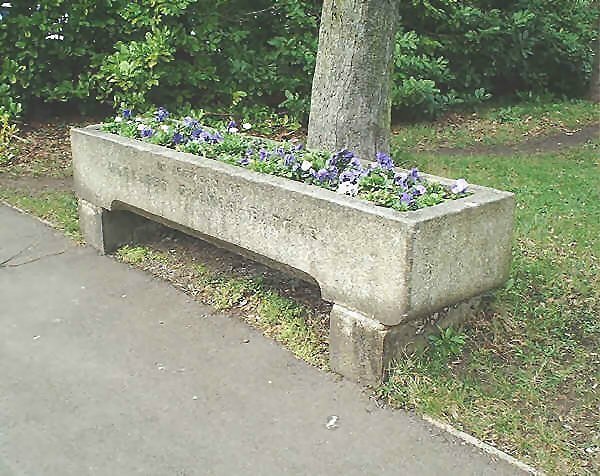 This cattle trough is located beside Caenwood Close, near the railway station at Weybridge in Surrey. It lies near the junction with Heath Road. Cattle trough near Weybridge station 1st March 2008. 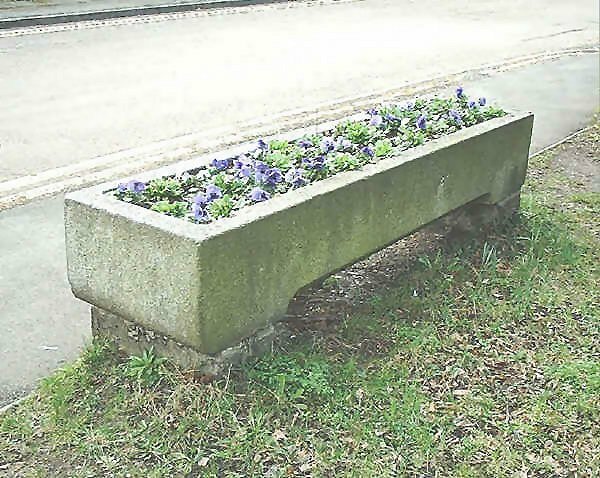 Cattle trough near Weybridge station. The road in the background is Caenwood Close. Photograph dated 1st March 2008. 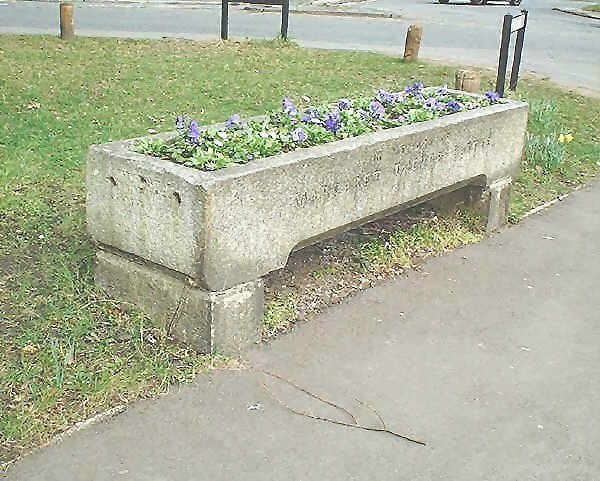 Cattle trough on Caenwood Close near Weybridge station. Photograph dated 1st March 2008. 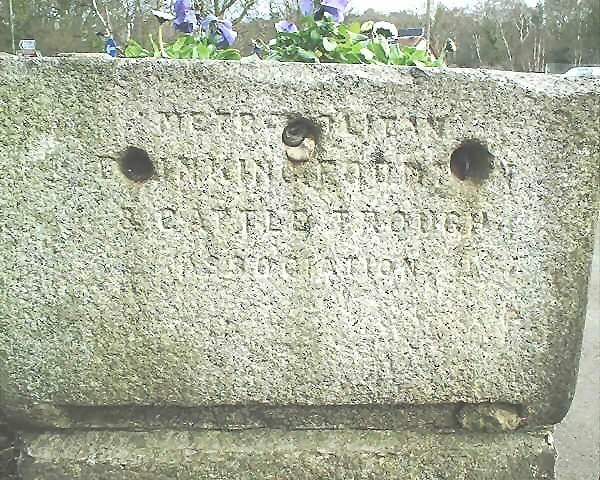 The end inscription on the cattle trough near Weybridge station 1st March 2008. 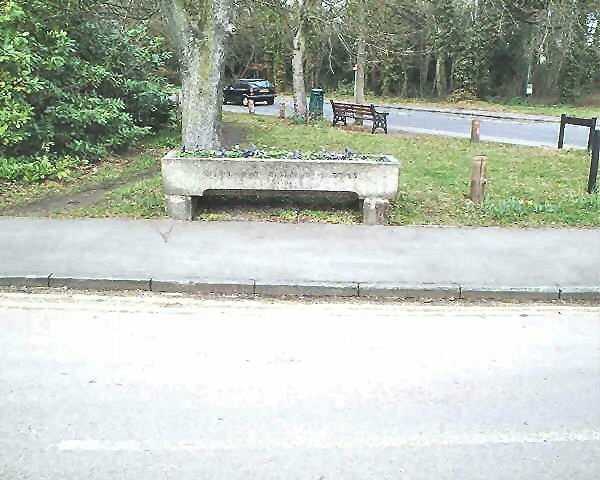 General view of the cattle trough near Weybridge station. In the foreground is Caenwood Close and in the distance is Heath Road. Photograph dated 1st March 2008.